At 12:15 am Friday June 18, 2010 Ronnie Lee Gardner was executed by firing squad at the Utah State Prison in Draper, Utah for the murder of an attorney 25 years before. Although it’s always a tragedy when capital punishment is required very few people disagree with the ultimate consequences of Mr. Gardner’s actions. In reading the news reports years ago, I was led to think about the times in my life when I faced serious consequences for my poor decisions. Most of them were caused by my failure to keep my priorities in correct order. 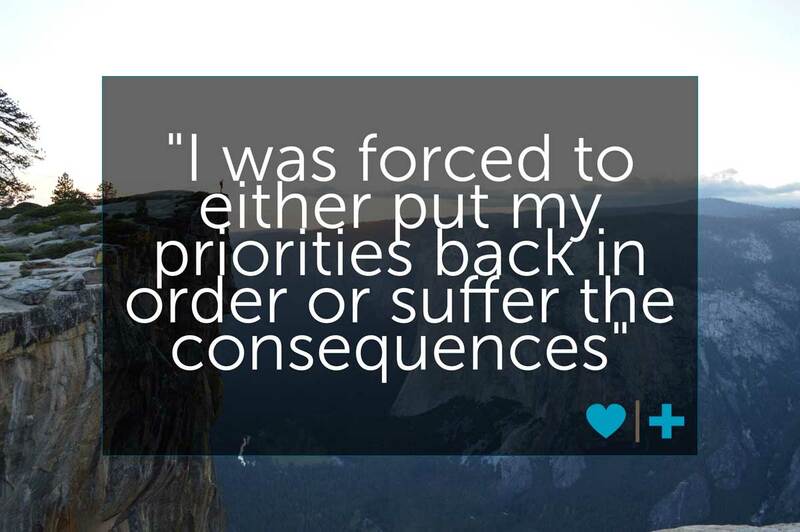 The consequences I receive are in most cases caused by my failure to prioritize correctly. As humans we are faced with the reality that if left to our own devices we will screw up our lives almost every time. It’s easy for us to become lost and confused and change our priorities. Whenever I find myself moving up the list I know my priorities are off. Whenever I put my wife above God I know my priorities are off. Whenever I put my friend’s needs above my family’s needs my priorities are off. Sooner or later my priorities will need to be reset. For those of us with a Christian faith background, God uses scripture and people to remind us to reset our boundaries. When we are taking the time to read the Bible and stay plugged into our Christian community we normally can keep our priorities correct. Unfortunately a lot of us don’t follow this road and we find ourselves in need of a “Reset”. I am convinced situations and trials in our lives give us the opportunity to “Reset”. When we allow ourselves to get so far off track that we can’t find our way back these situations will hopefully cause us to seriously reevaluate our priorities. At the lowest time in my life, when God felt the furthest away from me, I experienced the “God Reset”. I was forced to either put my priorities back in order or suffer the consequences. I chose to “Reset” my priorities, turn away from the cliff and return to my relationship with Christ, who for me, has to be first. I too am a betrayed husband. 3 yrs into our marriage my wife cheated on me with a co-worker for 2 years. She traveled for work sleeping with a guy while I juggled childcare and 60hr weeks. She said it was just an escape and a bit of fun. It's only now she realises the AP was a bit of a predator and was pursuing other women as well. It's been 2 yrs since discovery, which was handled in the worst possible way and frankly has left me more angry and resentful to be honest. In fact, she asked me to move out, so I did, and her parents think I was the one who cheated! So I live with that hanging over my head because I dont have the heart to tell them. I do give myself some credit though. I never 'outed' the AP to his wife nor did I take a more drastic measure, which I was very very close to doing. I tried to be the better man even though every fibre of my being wanted to exact revenge. I still struggle with the sexual aspects of the affair and comparing myself to the AP. Our marriage is much better now but I constantly find myself wanting to have an affair and have the experience my wife had. Why do I have to be the nice guy who cooks (kind of), cleans, gets the kids to/from school, do PTA etc when she got to try and be 18 again? I realise two wrongs don't make a right and their is no 'fair' in affair but hey. She got to have her digression. Why can't I ? With ya - I'm sorry for your pain. It sounds like your recovery and reconciliation has been partial at best. That must be really hard. I am responding to the part where you said you gave yourself credit for not informing the OBS. You implied that the only reason for telling the OBS would be for revenge. I think this decision can be so much more complex than that. I know many people who consider it the moral, ethical thing to tell the OBS. After all, this person is very likely suffering, blaming themselves for a marriage that is struggling. I have seen and heard of many, many examples where an OBS, on finding out about an affair is relieved. Relieved that they are not insane and that they are not the source of all the problems in their marriage. Anyway, I'm not necessarily advocating that you inform the OBS. This is a complex decision. But it is a multi-faceted one with rarely a simple answer. As a man of 64 years age I confess to continually having to reset my priorities sometimes by the minute when need be! The problem is when we don't recognize a necessary reset is needed. If I could reset my life and know what I know now there would be an unregnisable man who would praise the Lord continually, be evenly coupled with my wife and treat her with all the love and respect humanly possible. This is not possible! So, as I go forward in my life I look at each day as a gift. Another chance to makes wrongs right, loving my God and keeping priorities right!